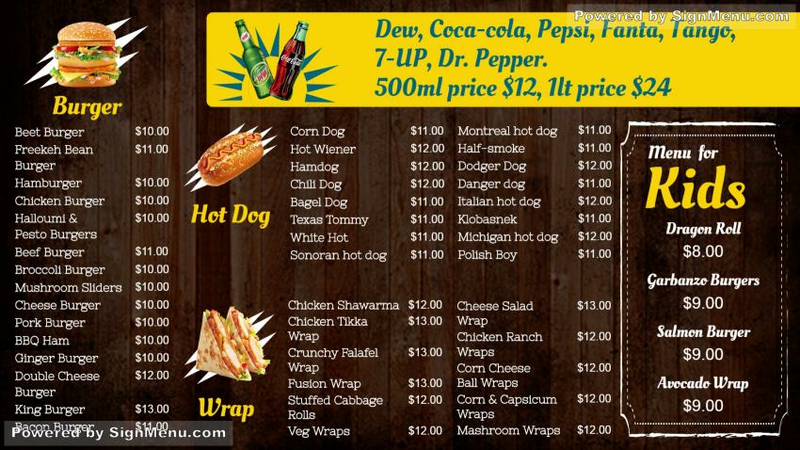 this template showcases the menu of a burger house. When placed on a digital screen on the premises, it will create a scintillating effect. digital signage advertising has come to stay for fast food restaurants worldwide. Digital signage facilitates better and more effective engagement with customers and provides the restaurant invaluable inputs on their menu . They can update or introduce fresh items accordingly.